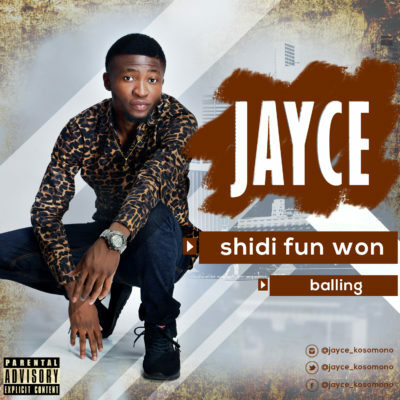 Jayce is a talented rapper that hails from Ondo state. He schooled in Yabatech and has created a massive fan base there. He is recognized by his delivery and loved for his catchy performance, He drops his mixtapes titled “Shidi funwon”and “Balling” receiving massive air play on radio stations and trending on social media, He is the next big thing to happen in Nigeria entertainment…Listen, Download and you will definitely be a fan by Sharing.